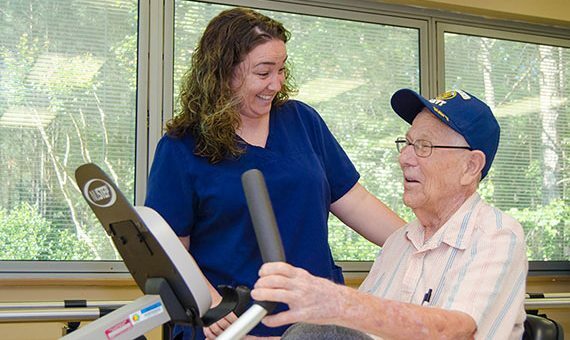 The career path “Stars and Stripes” program encourages the development of health care careers that begin in our training programs for Certified Nursing Assistants (CNA) and Geriatric Nursing Assistants (GNA). After a year as a CNA or GNA, facility team members are eligible to apply for Tuition Reimbursement and other available scholarships to further develop their careers. Perhaps your personal goals are not in the nursing field of long term health care. All of the State Veteran Home operating entities listed above also employ Administrators that are Certified Preceptors for a state and federally approved Administrator-in-Training program. With years of service to our country’s veterans and service to State Veterans Homes in multiple states, a career with HMRVSI or in any of the locations that we serve is a great place to start and to grow! *Unless applying for the HMRVSI Corporate Office location, all employment offerings are with the following companies (under their own policies, procedures, and governance) in their respective areas of operation HMR Governmental Services, Advantage Veterans Services, LLC, HMR of Alabama, Inc, HMR of Maryland, LLC, or Texas VSI, LLC.